New users Get 100% cashback on Recharge / Bill repayments. Max cashback will be fixed at Rs. seventy-five. No minimum transaction amount required. Using credit/debit credit card only. Offer is valid Once/ User. Initiate a mobile recharge of Rs. 20 or more and Get Rs. 40 cashback voucher on Electricity bill payment. Using credit/debit card/ Net Banking/FreeCharge Balance & UPI transactions. Get Smooth Rs. 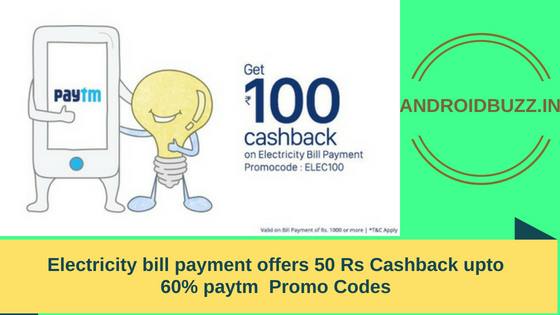 50 cashback on Electricity bill payment of Rs. 750 or more. Using credit/debit card, World wide web banking, FC Balance & UPI transactions only.